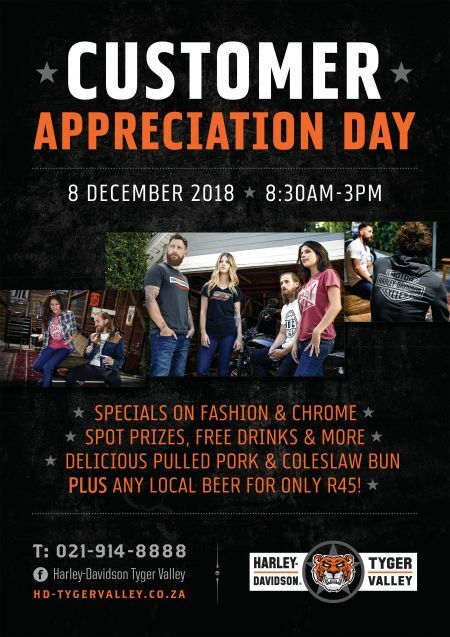 Join us for an end-of-year Customer Appreciation Event and let's give full throttle for one last blast! Join us for specials on fashion and chrome, spot prizes, *free drinks and MUCH more! Grab a delicious pulled pork & coleslaw bun with any local beer for ONLY R45. No entry fee, see you there!